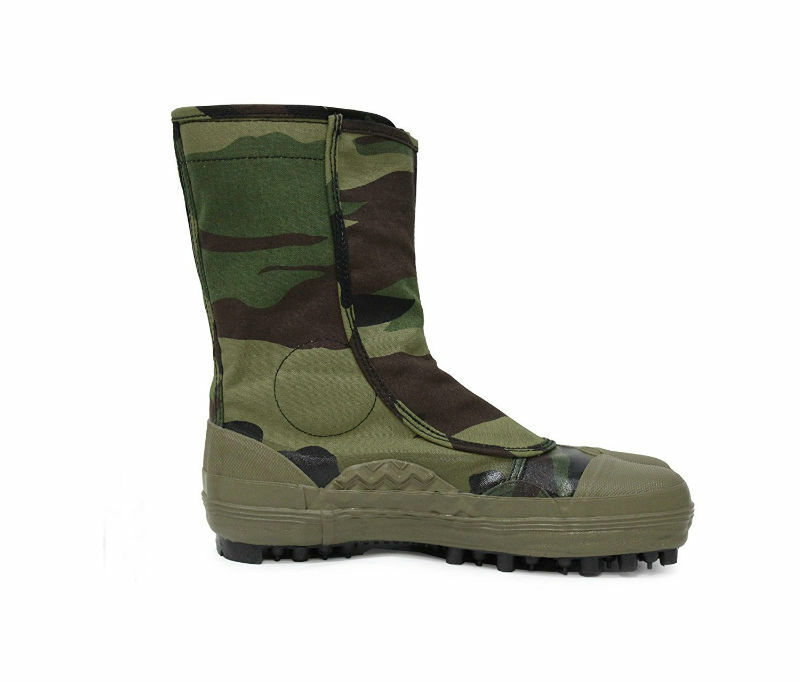 With these camouflage jikatabi you'll blend into the jungle or stand out on the street. 55 rubber-coated metal "spikes" on each sole make for amazing grip, and three velcro fasteners give both convenience and a perfect fit. 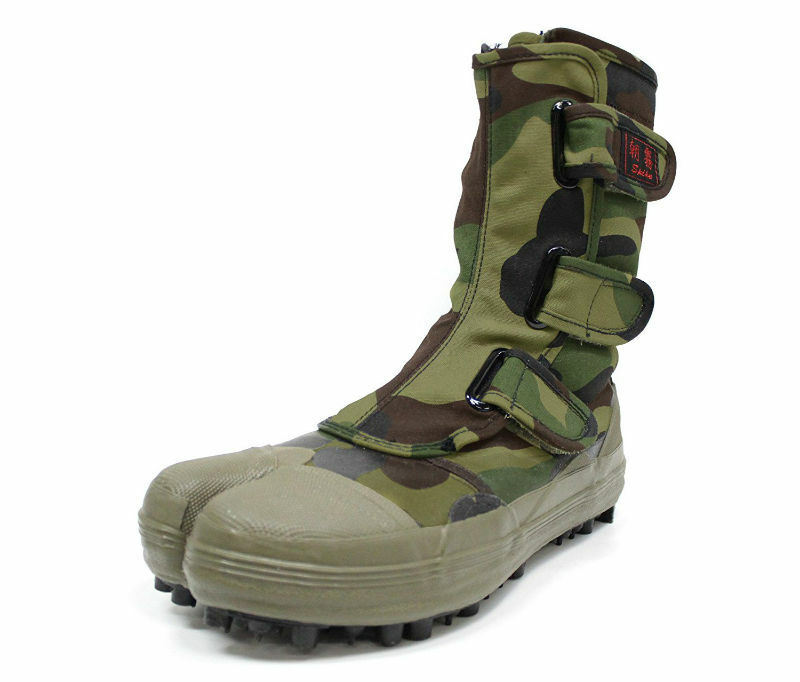 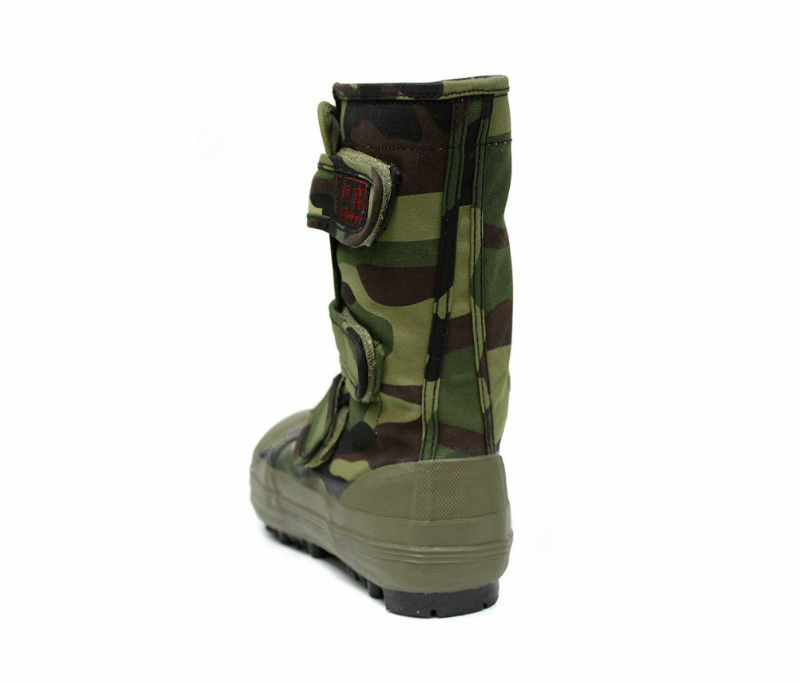 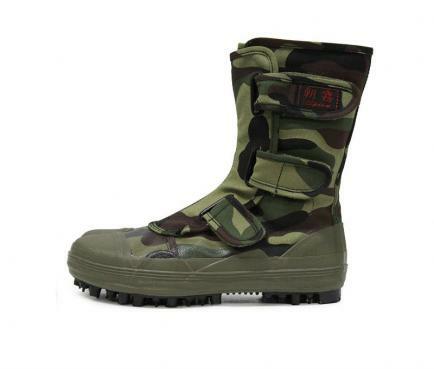 A camouflage version of Soukaido's popular work boots. 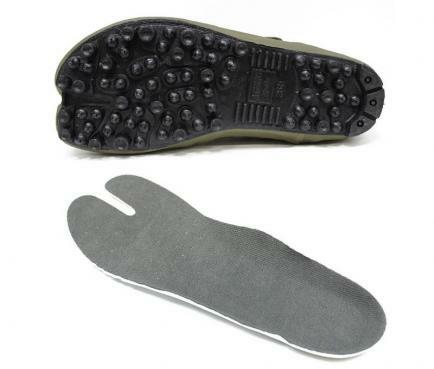 This jikatabi has rubber-coated metal "spikes" on the sole; protective padding for the ankles; nylon-reinforced cotton canvas uppers; partly water-proofed; three velcro fasteners for convenience and a perfect fit; a tough but flexible sole, webbed at the toe to prevent debris from getting caught.